of water saved per year! By participating in Manitoba Hydro’s Power Smart Water and Energy Saver Program (“Program”), you may receive certain basic water and energy efficiency items (collectively a “Kit”) from Ecofitt Corporation (“Ecofitt”) for use in your Residence. To apply, you must accurately complete this Program application form and submit it to Ecofitt. Please read all terms, conditions, and instructions, carefully before applying. By completing and submitting an application form, you confirm that you have read, understood, and agree to, these terms and conditions, and you meet all requirements of the Program. If you do not agree to or meet any requirement, immediately exit this page and do not submit an application. If you have any questions or require assistance, please contact 1-877-326-3488. You must be a residential customer of Manitoba Hydro, with active energy account(s) in good standing, in accordance with Manitoba Hydro’s records. The Residence must be in Manitoba and must be your principal residence on a year-round basis (e.g. outbuildings, seasonal dwellings, etc., are not eligible). Only one application per Residence will be accepted. Incomplete or ineligible applications will not be processed. While quantities last, and no rain-checks. No purchase necessary. If your application is acceptable, Ecofitt will send a Kit by regular mail to the Residence address you provide on the application form. The Kit is to be installed and used only at the Residence, and must not be sold, exchanged, assigned, or otherwise transferred (except for scrap purposes). You are solely responsible for determining and ensuring that the Kit is suitable and safe for you and the Residence before installation. If any item or part of the Kit is determined to be unsuitable or unsafe, you must promptly notify Ecofitt (at 1-877-326-3488) to arrange for return. You are solely responsible for installing and using, and for ensuring that the Kit is installed and used properly, in accordance with the directions of the respective manufacturers / suppliers, and with all applicable laws, regulations, and bylaws. Any inquiries or issues that you may have respecting the Kit must be directed to Ecofitt or directly to the manufacturer(s). Upon request, you agree to provide evidence to verify that the Kit is received, installed, used, and disposed properly, and to permit representatives of Ecofitt and Manitoba Hydro to visit the Residence to verify compliance. Manitoba Hydro has no right, title or interest in the Kit you receive. Manitoba Hydro makes no representation or warranty whatsoever, express or implied, written or oral, as to any part of the Kit, its design, quality, capability, reliability, operation, performance, safety, fitness for your purposes, or as to any material, equipment or workmanship relating to part of the Kit or its installation, operation, or disposal, or that any part of the Kit will save energy or water or satisfy the requirements of any law, rule, specification or contract. You hereby indemnify and save harmless Manitoba Hydro, its agents and employees from all damages, expenses and costs for injury or death of any person, damage to or destruction of property, and all economic loss suffered by any person caused by the installation, operation, use, removal, and/or disposal, of any part of the Kit. You assume all risk, responsibility, and liability, for any damages, injury and/or costs that may result from the installation, operation, use, removal, and/or disposal, of any part of the Kit. You are solely responsible to properly handle, maintain, and dispose of the Kit and any and all hazardous materials contained in or in respect of the Kit in accordance with all applicable laws and regulations, and agrees that Manitoba Hydro has no responsibility with respect to same. Manitoba Hydro makes no representation, warranty, condition, undertaking, or term, expressed or implied, written or oral, as to the Kit, or any work of any installer, including, without limitation, those relating to energy savings resulting from the Kit, or its operation, performance, fitness for any purpose, or its compatibility or operability with any hardware or equipment at the Residence. MANITOBA HYDRO SHALL NOT BE LIABLE TO YOU OR ANY THIRD PARTY, FOR ANY DIRECT, INDIRECT, INCIDENTAL, CONSEQUENTIAL, SPECIAL, PUNITIVE OR EXEMPLARY LOSSES OR DAMAGES OF ANY NATURE OR KIND WHATSOEVER, INCLUDING, BUT NOT LIMITED TO, LOSSES OR DAMAGES RELATING TO, ARISING OUT OF, OR RESULTING IN ANY MANNER FROM, THE KIT OR ANY INSTALLATION, USE, OR DISPOSAL, OF THE KIT. Ecofitt and Manitoba Hydro reserve the right to revise their respective requirements for the Program, including, without limitation, these terms and conditions, at any time. Manitoba Hydro reserves the right to change or terminate the Program at any time. The selection, value, and availability, of the Kits are subject to change without notice. Manitoba Hydro’s decisions relating to the Program, including, without limitation, determination of eligibility or acceptability, shall be final and binding and not subject to appeal. You warrant and represent that you have the full, unfettered, authority to enter into this Agreement and to participate in the Program and to effect installation of the Kit at the Residence. You warrant and represent that you have the full, unfettered, authority to provide the information and material(s) required, and that all information and material(s) provided are accurate and complete. You agree that Manitoba Hydro has and will have the unfettered right to use, for Manitoba Hydro’s business purposes, all information provided by you in connection with, and information otherwise relating to, your participation in program(s) or your energy account(s). You agree for Manitoba Hydro, and/or one of its contractors or partners, to contact you and/or other occupants at the Residence at any time in respect of the Program or any other program(s), product(s), and/or service(s), of Manitoba Hydro. You agree that Manitoba Hydro has the right, and will cooperate with Manitoba Hydro, to claim and to own any emission reduction (greenhouse gas) credit that may result from any installation and/or use of the Kit. Ecofitt is a conservation focused manufacturer and installer of products and programs, primarily servicing utilities, government agencies, distributors and customers across North America. Services include the delivery of residential and commercial energy efficiency programming, furnace upgrades and maintenance, and commercial lighting, weatherization and smart home upgrades. © 2019 Ecofitt. All Rights Reserved. Ecofitt offers a full suite of installation services for all the products we carry. Our network consists of certified G2/G3 HVAC technicians, Master Electricians and Master Plumbers to install any of the products we sell as part of any mass market program our clients may offer. Past installation products include the installation of over 5000 thermostats and CFL bulbs as part of a utility program, retrofitting energy efficient toilets as part of a municipal program and the completion of energy audits and basic energy upgrades as part of a large scale Canadian retailer program. 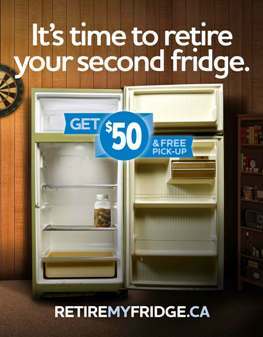 To learn more, call us at 1-877-ECO-FITT (1-877-326-3488) ext. 30. 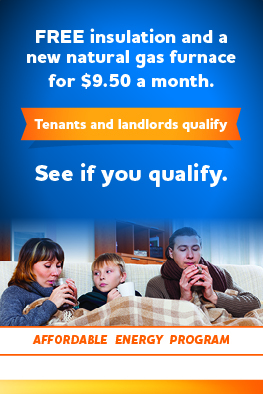 Ecofitt currently offers residential energy auditing services through our team of Certified Energy Auditors (CEAs). All of our auditors are certified by the federal government through Natural Resources Canada (NRCan) and collectively bring with them more than 50 years of experience. Auditing services typically include a “blower door” test whereby a home is depressurized to observe air leakage and other inefficiency problem areas. Testing also assigns an energy rating to a home and makes recommendations on how best to improve efficiency. Through Ecofitt’s utility partnership programs, upgrades to a home are typically made in most cases with zero cost to the homeowner. Upon completion of upgrades, a follow-up audit Is completed to determine actual energy efficiency improvements made to a home. 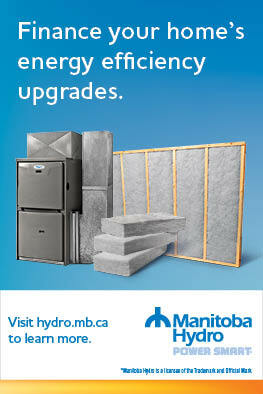 Often times, a customer will see thousands of dollars in energy savings as a direct result of upgrades made. Ecofitt offers a fully staffed in-house call center with trained representatives in each of our locations across Canada including British Columbia, Manitoba, Ontario and Quebec. Bilingual French and English representatives are also available upon request. Ecofitt offers a full range of assembly, kitting and bagging services. We can assist with product sourcing, custom packaging, re-packaging, custom designed boxes and assembly and shipping services, completed in as early as one business day.